I picked this image up from Twitter. 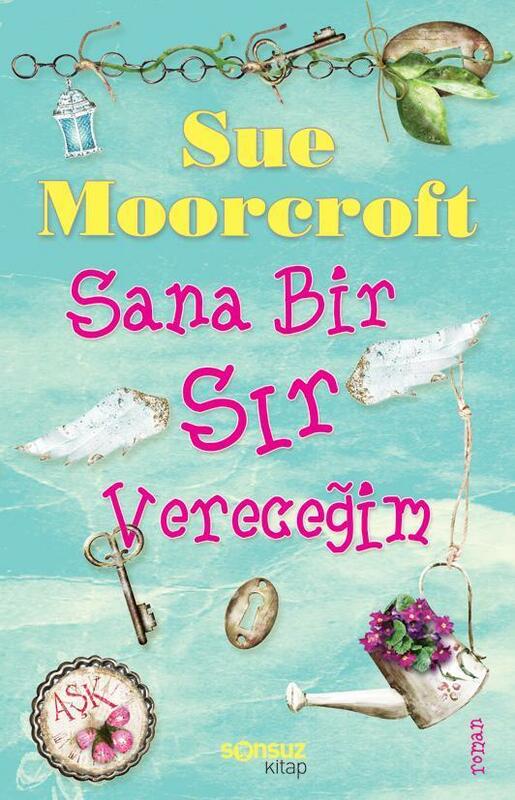 The title translates to ‘I Tell You a Secret’, so I think this must be the Turkish version of ‘Want to Know a Secret?’ It’s a pretty colour, isn’t it? As I’m colourblind between some blues and greens I’m not sure what colour you’d call it … I’ll go for aqua. That seems to cover a lot of colours I don’t know! Four of my books have been sold into Turkey so I can look forward to the others appearing over the coming months, I think. It’s nice to know my books are travelling the world. That’s great Sue. I’d love to see my name in print in the UK let alone anywhere else in the world. Good on you. Thanks, Angela. It’s nice, definitely. I’m not sure what the watering can has to do with the book, but it looks very pretty. Wow, I got a colour right! My choices for colours like this range through turquoise, aqua and jade. It makes me seem as if I know what I’m talking about but I think it’s green, really. Nice one, Sue! How exciting, too. 🙂 Thanks Jenny. It came out of the blue (ho ho), too, as I hadn’t realised it was so close to publication. A lovely surprise. Thank you, Nari. Yes, it’s a lovely experience.